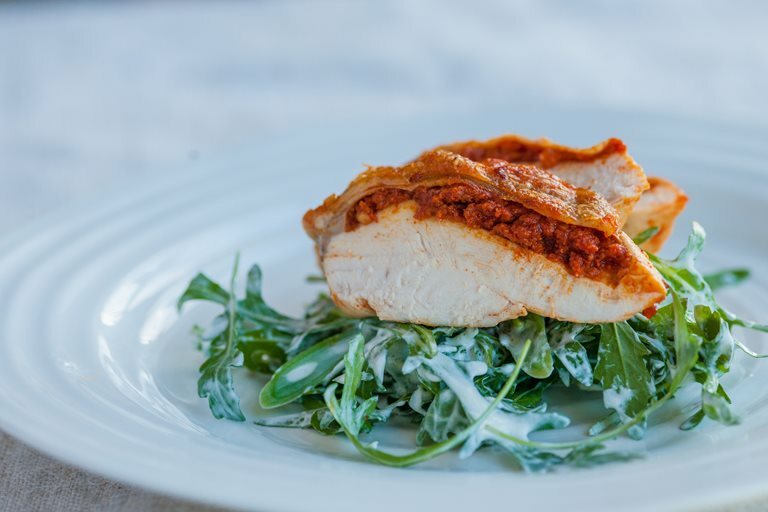 Chicken breasts are a great platform for stronger flavours, which means they partner perfectly with the spicy 'nduja. Serve with a crunchy peppery salad of rocket and green beans, with a sour cream dressing to cool things down a little. Adam Gray suggests serving with potato wedges seasoned with paprika. Preheat the oven to 200˚C/gas mark 6.